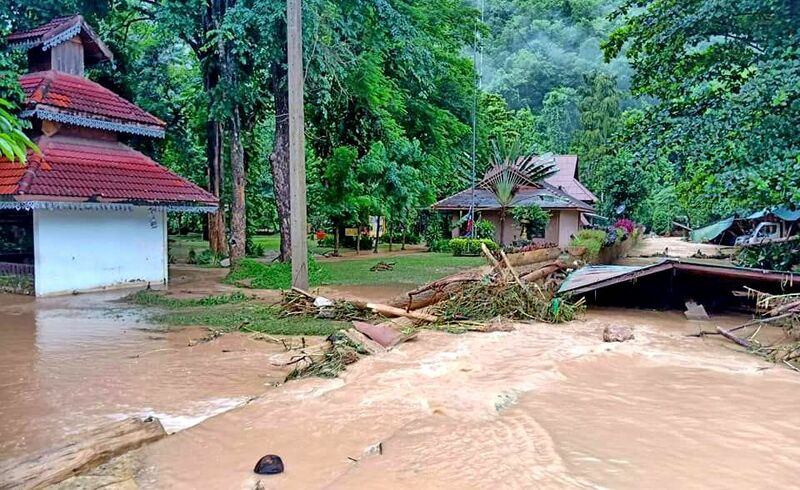 In the wake of yesterday’s euphoria following the final five team members being successfully evacuated from the Tham Luang caves, a sad epilogue. An Australian doctor, Richard Harris, partly responsible for looking after the Thai football team during their cave ordeal, emerged last night, exhausted but relieved they job was over. Some sad news awaited him. He was told that his father had died overnight. 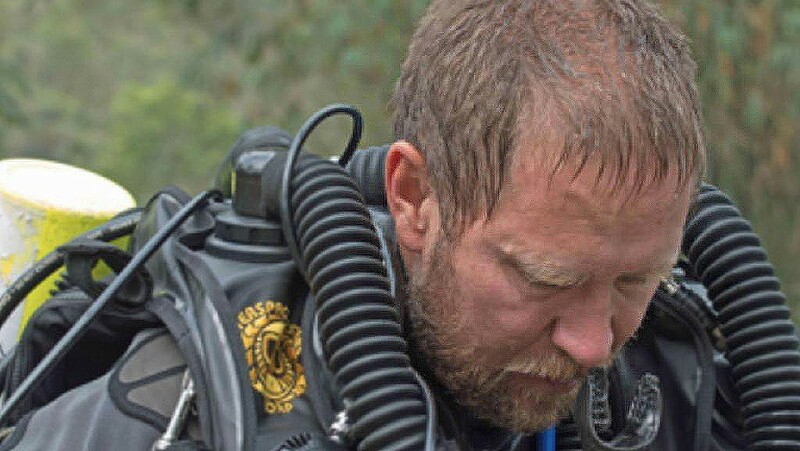 Richard, a world-renowned medic and diver whose presence in the dramatic rescue of the Wild Boars squad was specifically requested by experts and Thai officials, was reportedly the last person to leave the water-logged caves yesterday. “Harry”, his nickname amongst the caving community, cancelled his holidays to fly into northern Thailand – just one of the enormous international contingent to get the young team out of the Tham Luang caves, alive. His expertise was called in because he knows caving, the risks, the medical threats and the knowledge to assess people who have been inside for extended periods. He put his own life at risk to head into the flooded cave where the 13 members of Mu Pa had just been found, six days before their extraction began. Harry braved the a four kilometre slog through cramped, craggy spaces, much of the journey under metres of muddy water, several times. Australia’s national broadcast, the ABC, says Adelaide-based Harris was the person responsible for choosing the order in which the team would be selected to leave the cave. His specialty in anaesthesia would come particularly in handy as the decision was made to ease some of the team’s anxiety with light stress-reducing medication. The boys would be fully conscious and alert during their evacuation – they had to be – but would have some of their obvious anxiety and potential for panic reduced because of Harry’s knowledge of the medications available. 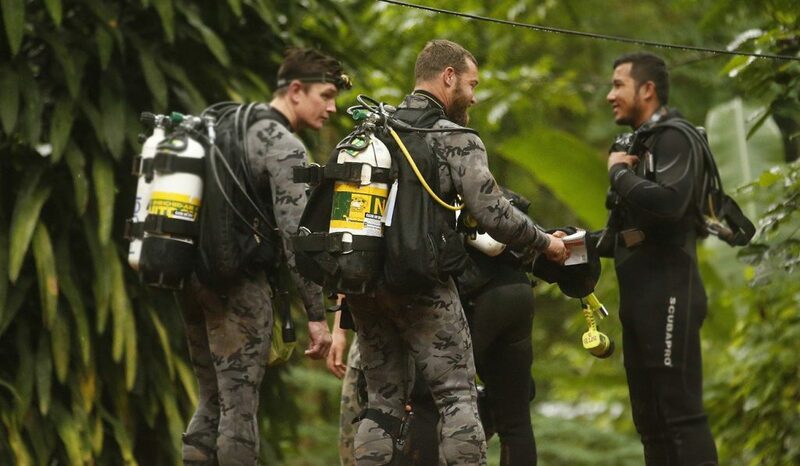 Harris, part of a 20+ team of Australian caving specialists, was the last person to emerge from the cave at the same time the final five team members were arriving at the Chiang Rai hospital. Australia’s foreign finister Julie Bishop hailed Harris for being an “integral part of the rescue attempt” saying his role had been extraordinary. Minister Bishop said the Australian government would formally honour all Australians who took part in the rescue. From inside the cave – bringing out the team. Thai Navy SEAL video. Either by hard work, serendipity or pure luck, the smog and haze in the North has eased considerably within the seven-day timeframe set last Tuesday by the Thai PM General Prayut Chan-o-cha. The PM flew into the smoke-stricken Chiang Mai last Tuesday to meet with northern provincial governors to work out active solutions. During the visit, the premier made clear that he expected clear results within seven days and promised to take action against officials who failed to meet the target. 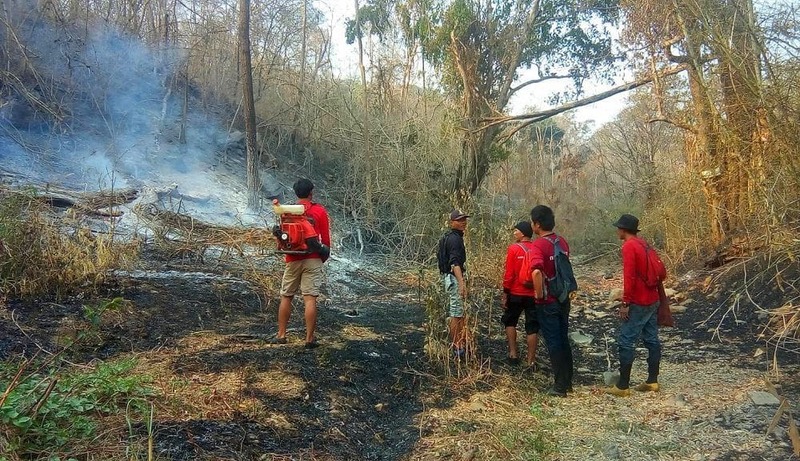 Prayut also directed relevant authorities, as part of short-term measures, to focus on reducing the number of hotspots, as they were the main polluters. His intervention has led to intensive efforts to combat forest and plantation fires. 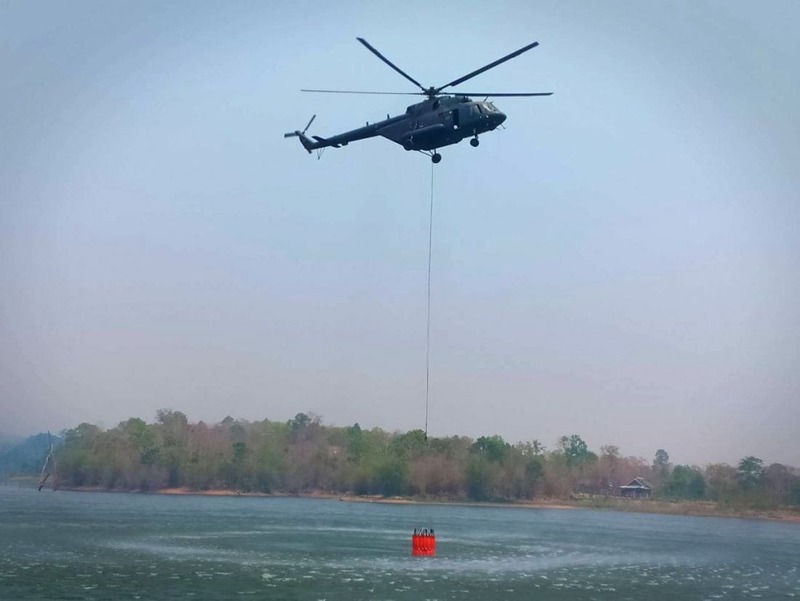 The Third Army Area organised more than 100 helicopter flights to help extinguish wildfires during the week. 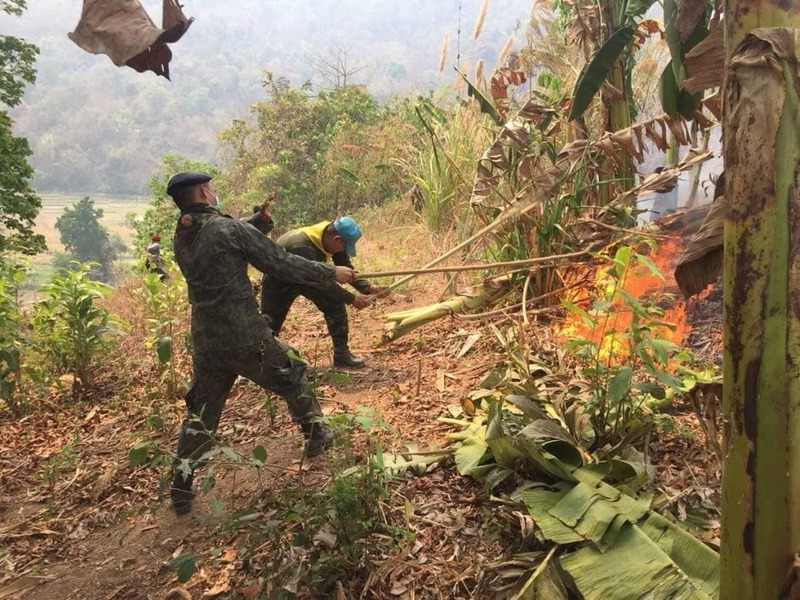 Meanwhile the GeoInformatics and Space Technology Development Agency’s fire-monitoring system reported that the number of hotspots in nine northern provinces had dropped to 231 yesterday – a significant drop from nearly 2,000 on April 2. While the intensified efforts have apparently improved air quality in the smog-hit North over the last week, the progress is bittersweet. 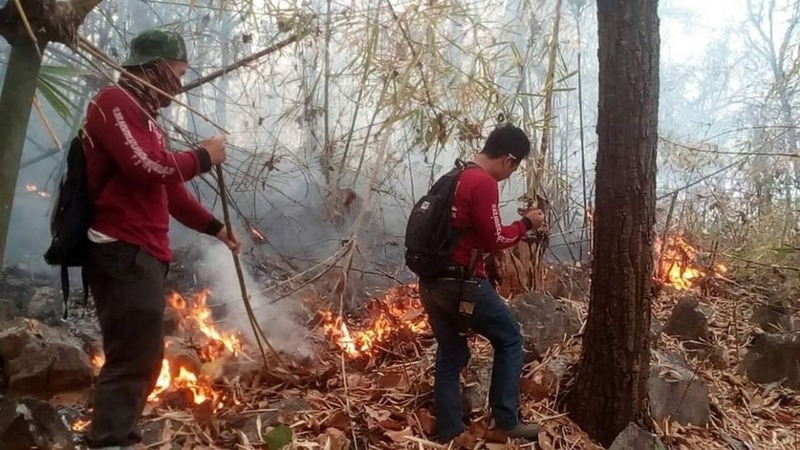 Siriwat Srisapha, a senior official based in the northeastern province of Nakhon Ratchasima, revealed yesterday forest-fire responder Wichien Panures had a stroke while helping fight a blaze in the northern province of Lampang. According to doctors, Wichien is currently in a coma, and his body is showing no signs of response. Doctors believe there is little chance of recovery. Many locals are complaining of respiratory and related problems with doctors and hospitals reporting a huge influx of patients related to the smog problems. This morning’s Chiang Mai readings from AirVisual.com below.